Hello! How was your weekend? On Saturday Jake turned 30!! I'm 2 years younger so I like to tease him. We celebrated with a family barbecue complete with ladder ball, champagne, scotch (Jake's beverage of choice) and lots of food. Oh yea, and we may have relived our college days by playing beirut (beer pong) late into the night. 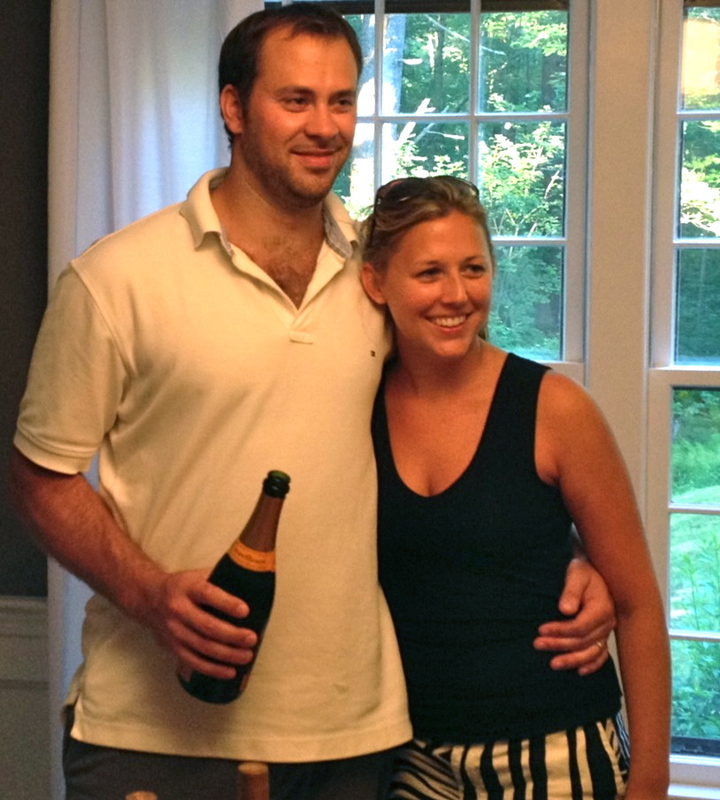 In a couple of weeks, we're heading to Cape Cod for a week long celebration/vacation with more family and friends. 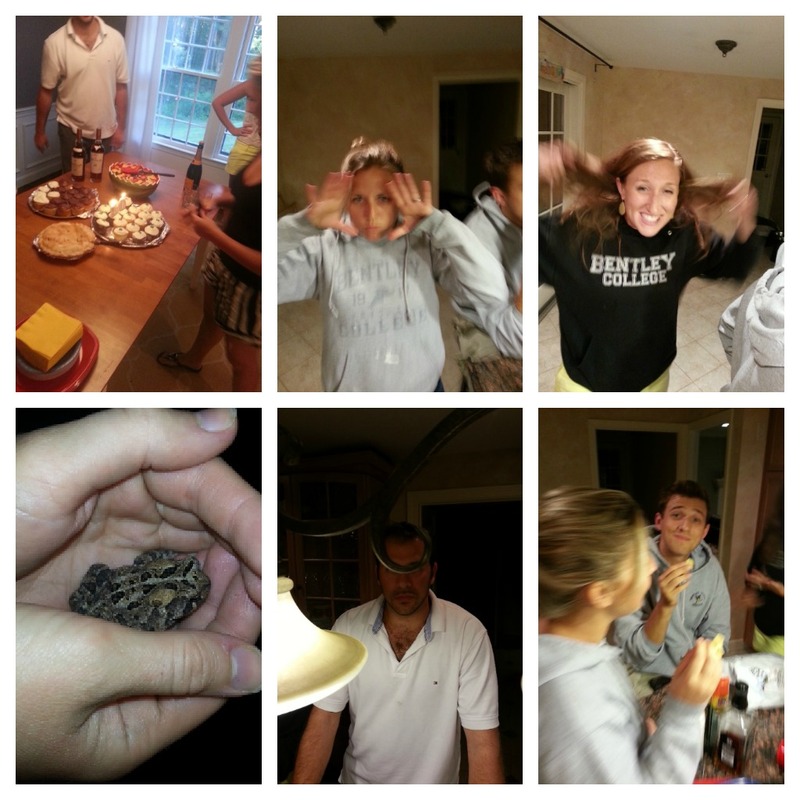 I relied on family to snap some photos of the day and so far I only have photos from my sister's boyfriend, Mike. His photography style is... umm....unique. Yes, unique. That's it! Haha, thanks for getting these pictures to me Mike! I kept things easy with steak, chicken, and veggies on the grill, store bought potato salad, corn on the cob, bread, and pasta salad. 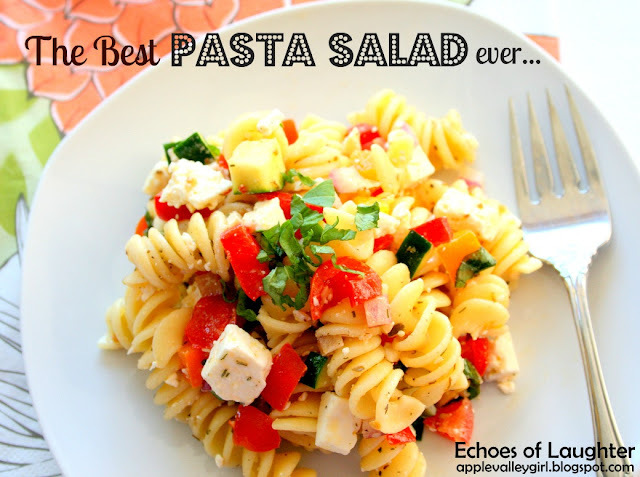 I tried out a new pasta salad recipe from Echoes of Laughter. Click on the link to see her full recipe. I followed it closely, but made a few small changes. I love how easy, versatile, and delicious it is! And just as I was getting ready to hit "Post" my Dad texted me a more "traditional" photo. My boyfriend turned 30 on Saturday also! Hope your husband had a great day!